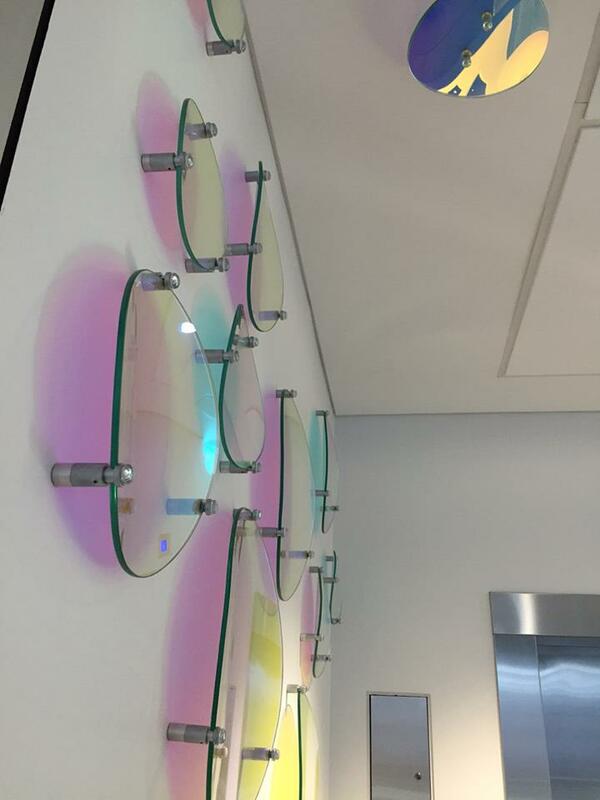 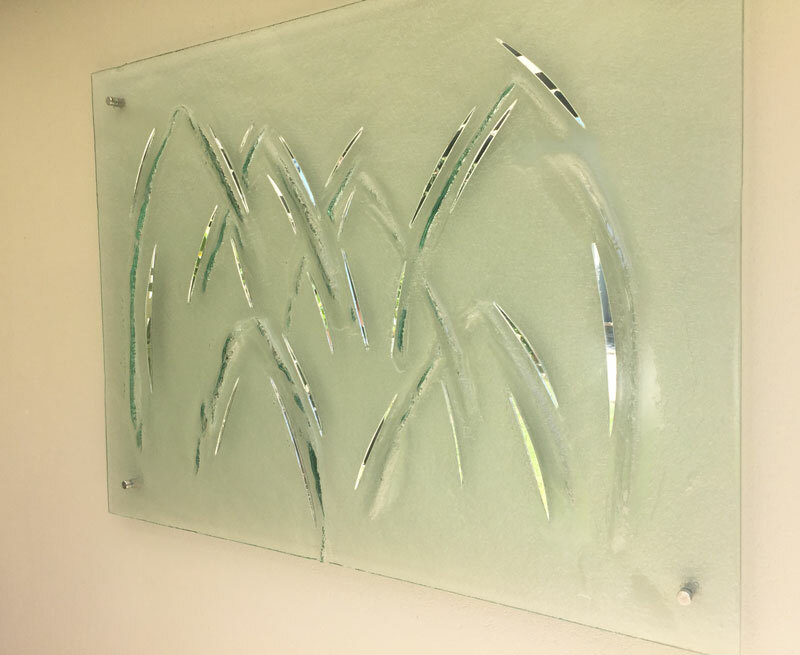 Custom textured wall art with mirror detailing. 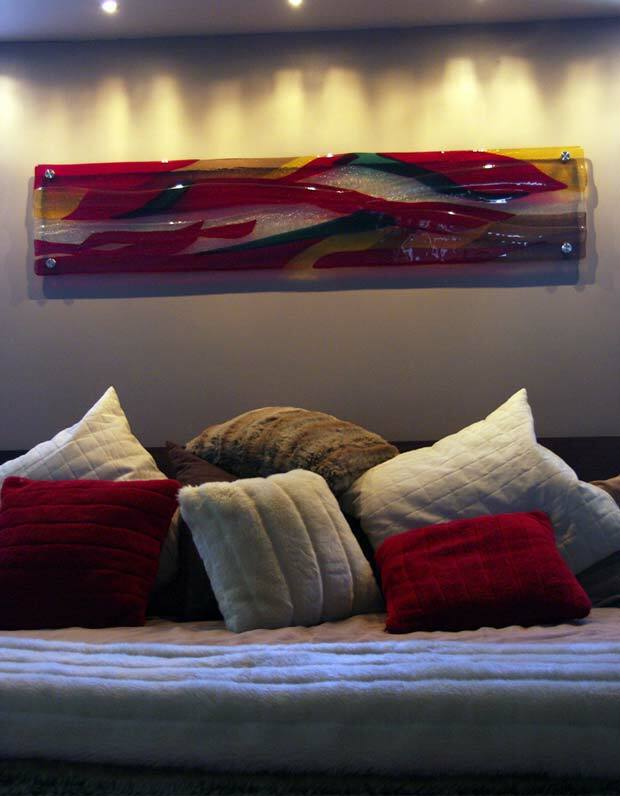 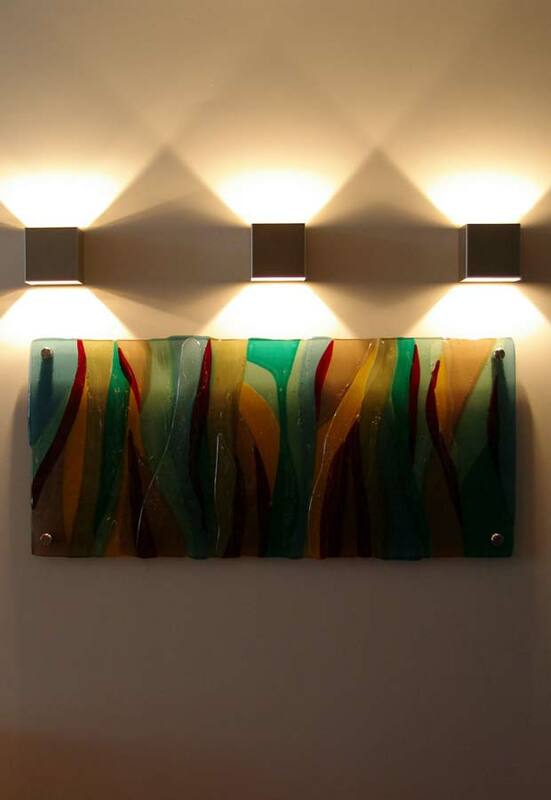 This gorgeous piece is mounted on an outdoor wall, facing a lush garden. 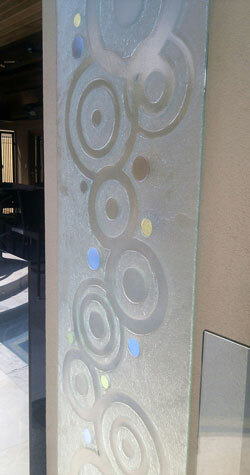 The mirror detailing reflects the surrounding garden greenery, beautifully. 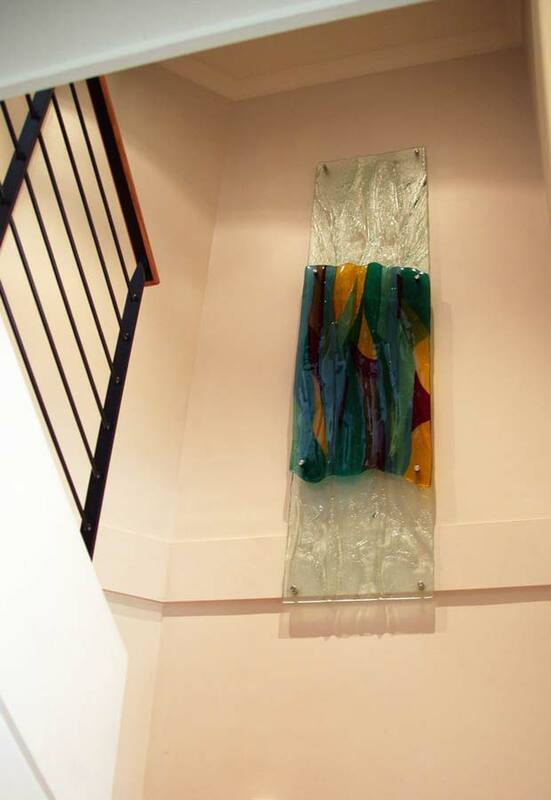 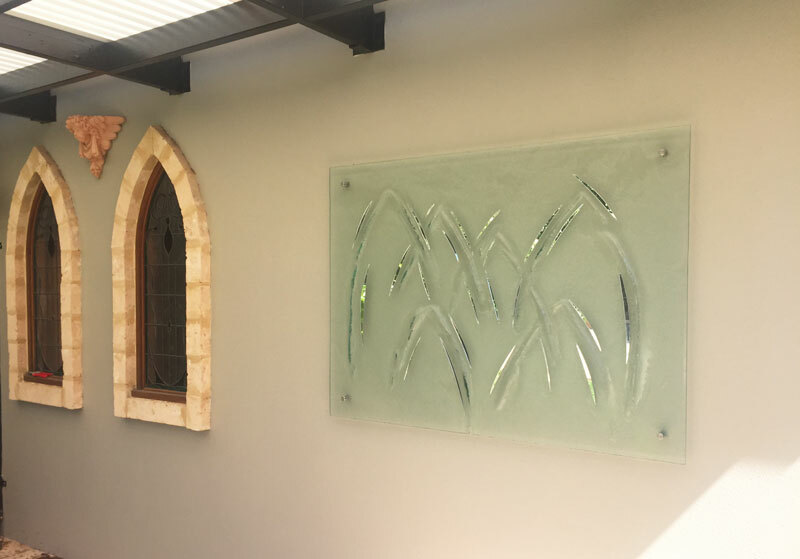 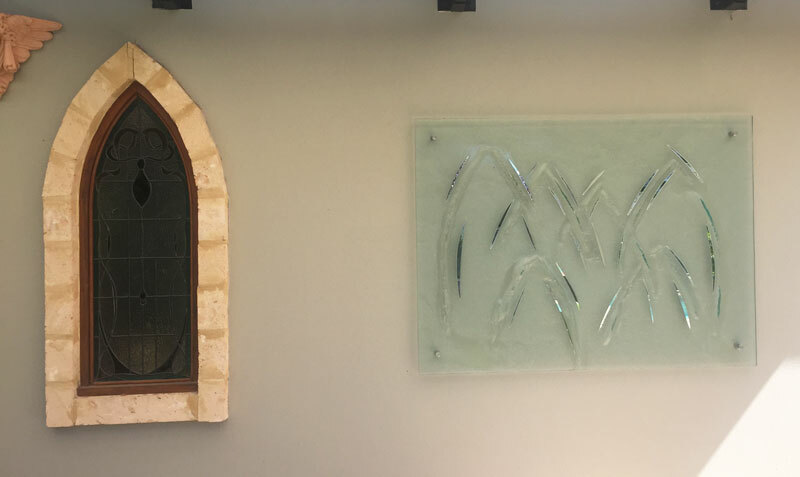 The arch shapes formed in the glass tie-in nicely with the stained glass arch window to the left, merging traditional and contemporary glass art.